LONDON — With just nine days to go until Brexit, Prime Minister Theresa May has asked the European Union to postpone Britain’s departure from the European Union until June 30. The decision is in the hands of the 27 remaining EU nations, whose leaders must agree unanimously to an extension. May has asked the EU to let her argue for an extension at a summit in Brussels on Thursday. The 27 others will then discuss it, but there may not be an immediate decision. European Commission President Jean-Claude Juncker says EU leaders “will probably have to meet again next week” to make a final ruling. The bloc is reluctant to agree to a three-month extension, saying that would require Britain to participate in May 23-26 elections for the European Parliament. The U.K. won’t be represented in the parliament after it quits the EU, and its seats already have been given to other countries to fill in the May election. A thousand days after Britain voted to leave the EU, Brexit is stalled because Britain’s Parliament is split down the middle between supporters and opponents of Brexit. Both sides are critical of May’s plan for an extension: Brexiteers say it will betray voters’ decision in 2016 to leave the EU; pro-Europeans say it will only prolong Britain’s Brexit crisis. Pro-Brexit and pro-EU lawmakers are also unimpressed by May’s divorce deal, and Parliament has rejected it twice by hefty margins. Yet May says she plans to try again. She hopes to persuade reluctant pro-Brexit lawmakers that backing her deal is their best hope of delivering Brexit. If the EU agrees and Parliament approves her Brexit deal, May plans to use the delay to pass the legislation necessary for Britain’s orderly departure. 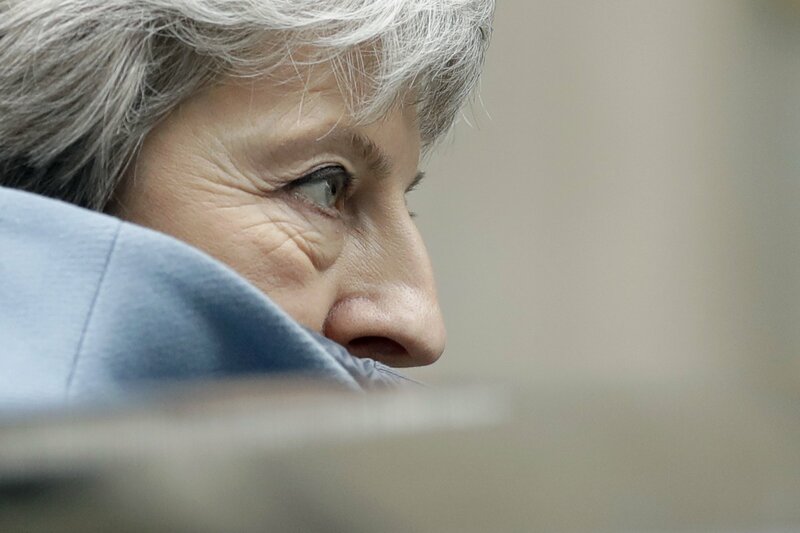 If her deal is rejected, Britain will face the prospect of leaving without an agreement once the extension ends. Britain’s Parliament has voted to rule out a ‘no-deal’ Brexit — but it remains the legal default position. The only ways to stop it are for Parliament to ratify a deal, or to cancel Brexit.